Classic segments, interviews, and the latest newscasts from the on-air staff of 99.9 WTUZ! Including Eric McElroy in the Morning, Shanna Burky on your drive home, and The BIG Z Sports team. Enjoy! Friday, April 19, 2019 - BIG Z Sports talks with current Indian Valley AD Bill Love about his new gig the Rocket Center Director with Conotton Valley starting August 1st. 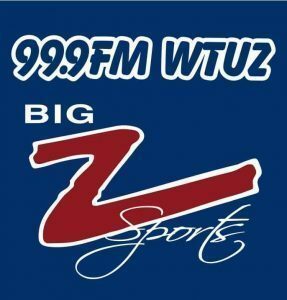 Friday, April 19, 2019 - BIG Z Sports talks with Former Strasburg Head Basketball Coach Adam Hall on his decision to step down at Strasburg! Thursday, April 18, 2019 - Strasburg Head Basketball Coach Adam Hall Resigned on Wednesday Night. Monday, April 1, 2019 - BIG Z Sports Podcast with Joe and Chris! The guys discuss the HS Spring Sports Season now underway, the NCAA Final Four and other things. Friday, March 22, 2019 - BIG Z Sports talks with Tom Gamble from ESPN 1530 in Cincinnati about the NCAA Tournamnet thus far! Wednesday, March 20, 2019 - Division 1 & 2 Boys Basketball All-Ohio Teams Announced! Tuesday, March 19, 2019 - Division 3 & 4 Boys Basketball All-Ohio Selections are Announced! Tuesday, March 12, 2019 - Division 3 and Division 4 Girls All Ohio Selections Announced! Sunday, March 3, 2019 - East District Releases Awards for Girls Basketball!! Sunday, March 3, 2019 - East District Releases Awards For Boys Basketball!